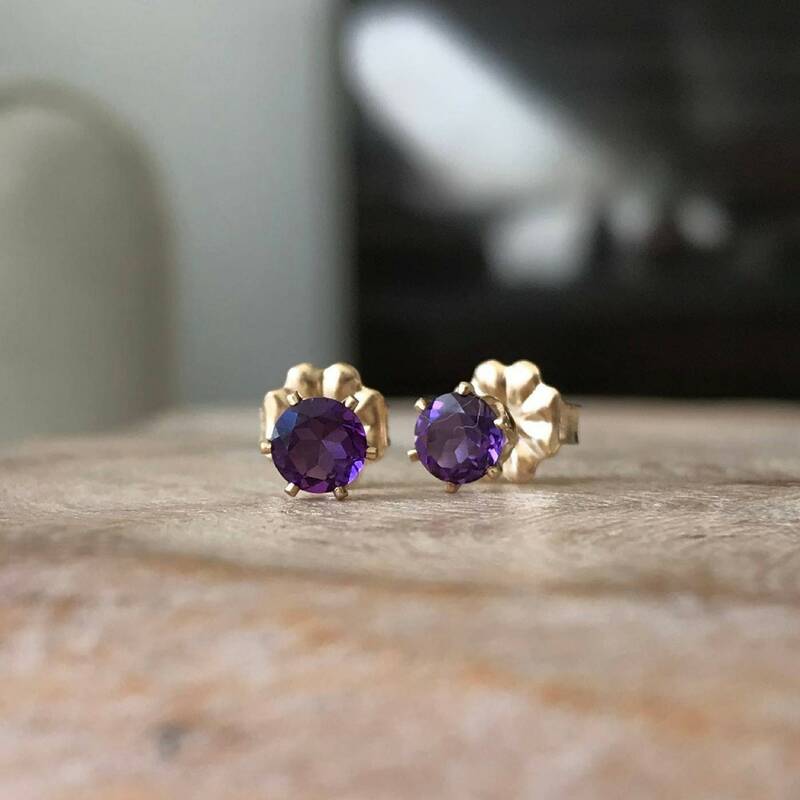 These gold filled natural high quality small 5mm faceted round amethyst studs are just gorgeous. This amethyst features the superior cut, color saturation and play of light required to be classified as a top high quality grade stone. 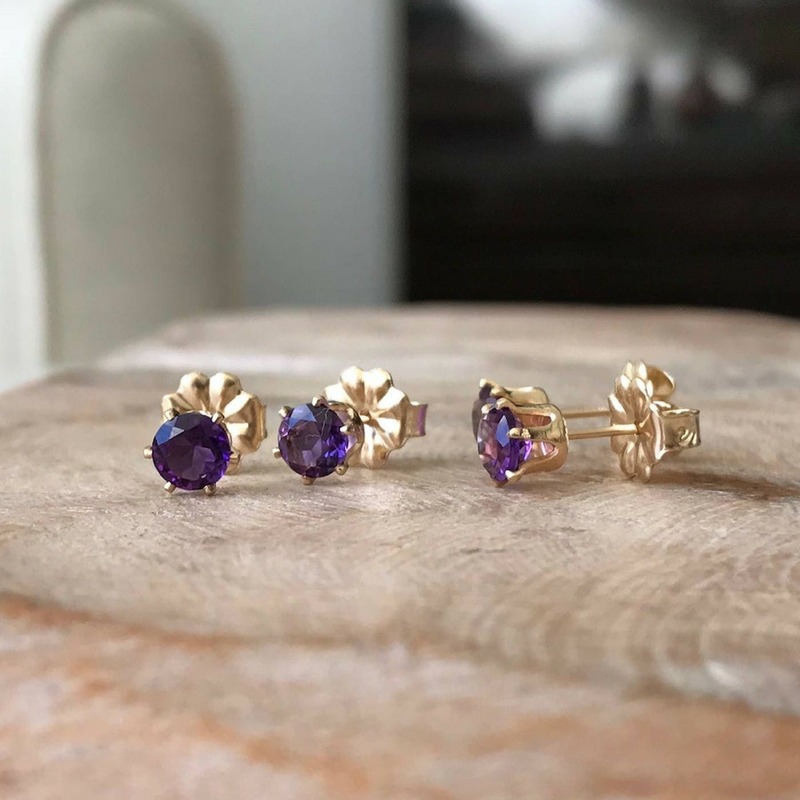 The earrings are very dainty and elegant dressed up or down, day to evening. A perfect gift for a February birthday or maybe a little something for yourself! Earrings arrived quickly and in great condition! Thank you so much! 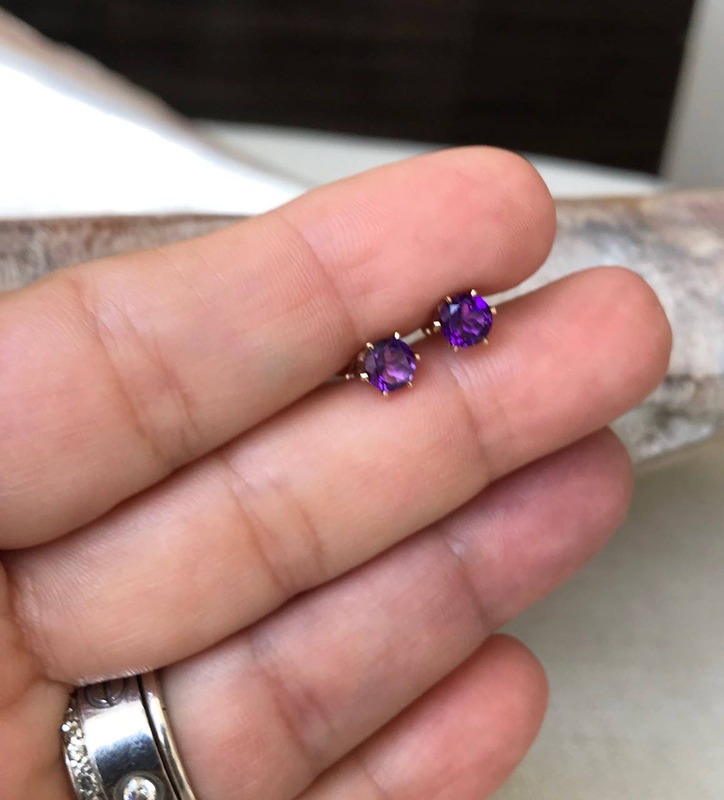 I was looking for a classic and simple earring to complement a large and more embellished smoky quartz and amethyst necklace. These Amethyst earrings complement my necklace perfectly. They offer just the right amount of color and enhance my necklace. Beautifully made!